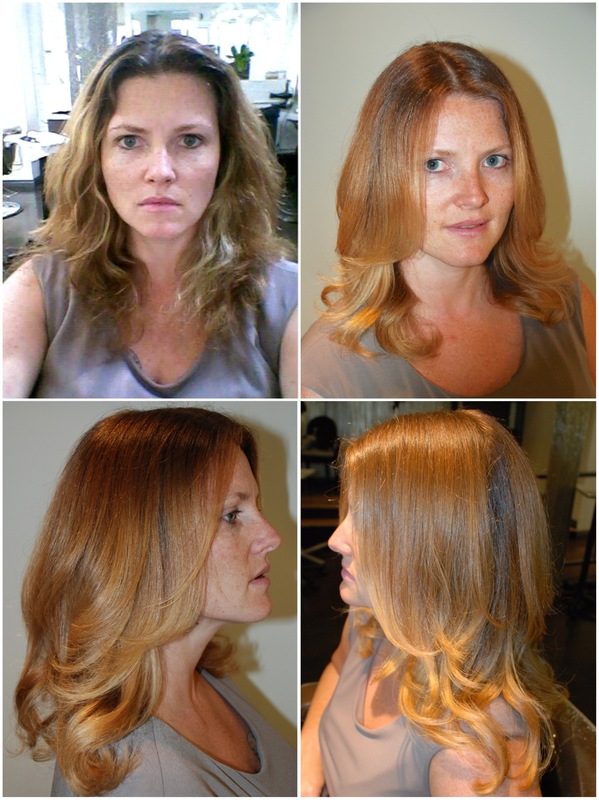 From a washed-out rooty look to a vibrant strawberry blonde with sun-kissed ends. Janetta was the perfect candidate for going red- Pale skin, freckles and light eyes are the ideal trifecta for a redhead. You can see in the before and after photos how her eyes pop, along with the freckles. I find freckles to be gorgeous, however some women don’t like their freckles so this is something they have to be informed of when going red. Notice how the roots still have depth – this is very important in creating natural looking hair color.